Space:1999, which originally aired in 1975, featured the crew of Moon Base Alpha as they found themselves stranded on our moon as a nuclear disaster knocked it from Earth's atmosphere. Sci-fi fans remember the outstanding special effects and production values of the show. 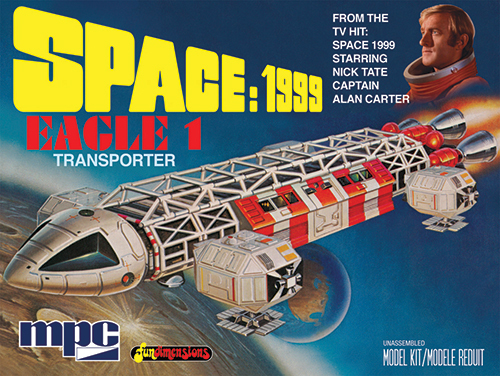 The hero ship of the show was the Eagle-1 transporter, and MPC is proud to return this classic kit to the market. The highly detailed model features simple assembly and measures 12inch long when built. All new updated decals are included.